Vassey Nursery began to take form in 1972, when owner Steve Vassey was a young boy. His father, Worth Vassey, started the nursery as a hobby while still working for the WSU Experiment Station. Worth primarily grew geraniums, fuchsias and tomatoes in his greenhouse. Instead of a front yard at his residence, he filled his land with trees and shrubs to care for and sell. Plants did not display a price tag, nor was a cash register used. Instead, Worth remembered the prices in his head and could add numbers upon numbers without making a mistake. Today’s owner, Steve Vassey graduated from WSU with an architectural design degree and after a brief internship began his own company, Vassey Landscape Design. He operated the landscape company and Vassey Nursery with an overlap of two years. As both companies grew, he closed down the landscape company and put all his energy into Vassey Nursery to make it what it is today, a nursery that will boost your spirits and energize your love for gardening. Today Vassey Nursery has fourteen greenhouses and counting. 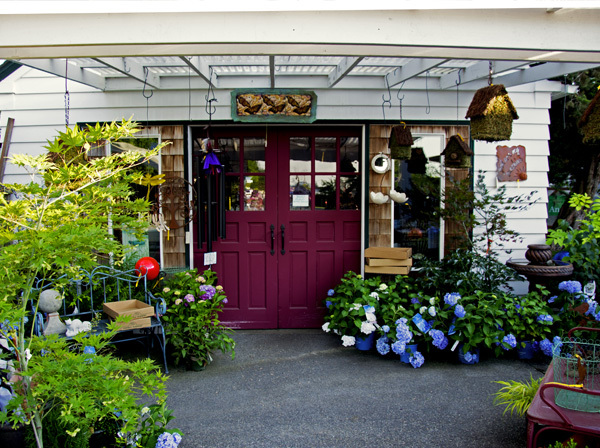 The nursery is defined by its high quality and reasonably priced nursery stock, seasonal baskets (spring & winter), annuals, perennials, pots, statuary, and a gift shop. Word of mouth is our best advertisement and thanks to our patrons, our advertising budget is low. There is rarely a day that goes by that one of our staff doesn’t hear the words “I didn’t know you were here, but I will sure be back.” Thank you for your continued patronage, and if you haven't visited us before, please come, you won't be disappointed. Be sure to consult our map. We wouldn’t want to miss you.